So tonight I made a new creation. Super easy. Preheat the oven to 400 degrees F. Lightly coat a large rimmed baking sheet with vegetable oil. Dry the chicken wings with paper towels and place in a large bowl. In a small bowl, mix 2 tablespoons vegetable oil, the melted butter, granulated garlic, 1 teaspoon salt and 1/2 teaspoon pepper. Pour the mixture over the wings and toss well to coat. 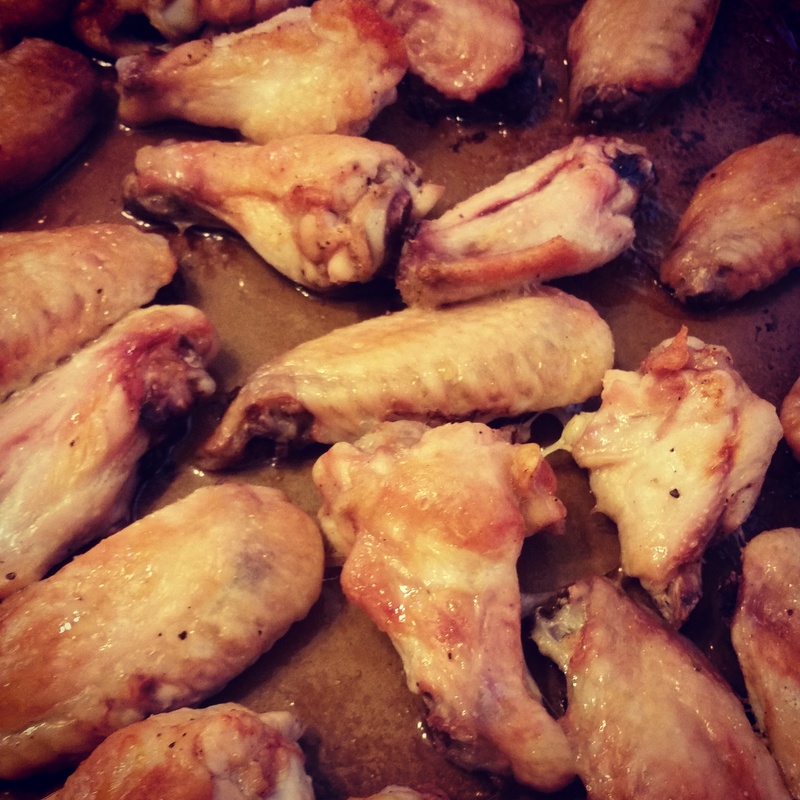 Spread the wings in a single layer on the prepared baking sheet.